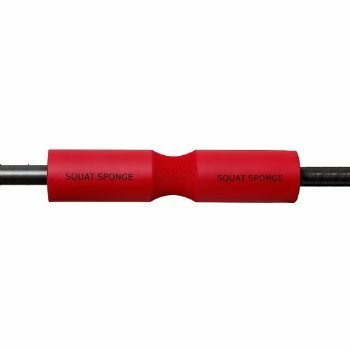 Squat Sponge 18"long, 3.5" diameter & 1.25"thick Olympic Barbell Pad. enhances and allows for proper form for squats and lunges and provides additional comfort for the upper and lower back and abdomen area during said exercises for supporting a barbell. Molded thick foam of varying degrees of open and close cell foam; thickness and density with a grooved channel in the center it is18" long, 3.5"diameter &1.25" thick that will cradling the spine.